Online shopping has given big and tall men the opportunity to shop discreetly in the privacy of their homes, without having to rush all over town to find large size clothes that fit. Recent figures released by the Australian Bureau of Statistics show quite clearly that we are a nation whose waistlines are increasing year by year, with 50% more overweight Australian men than women. Despite these figures, Aussie plus size ladies are catered for much more than big men. Big and tall men are often left in the dark and forced to endure the indignity of being turned away by the major stores. All this could soon change, with online stores like Ron Bennett Big Mens Clothing offering mens wear designed specifically for the extra size male. Traditional bricks and mortar stores may be disappearing at an alarming rate, but if the analysts are correct, our shift to online shopping will provide Australian big and tall men new opportunities to find the clothing they want, at a size that fits. Big men are fed up with being ignored by the major retailers. They want to find big t shirts that not only fit their size, but look great on them. Why should the big & tal l man have to put up with inferior clothing by cheap brands at hefty prices? At Ron Bennett Big Mens, we stock only quality brands. Large sized men can choose from such brands as RM Williams, Gant and Canterbury. Just three of the many popular brands in store or online. Not everyone can dress like Matt Preston. Sure, he’s a big guy, but he has the advantage of being able to afford custom tailoring to keep him looking so stylish. 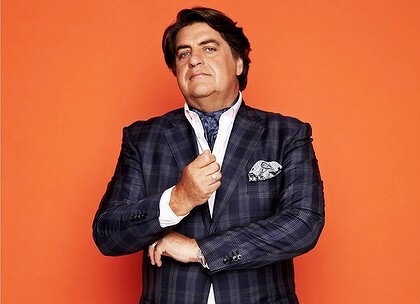 Why can’t all big men be able to look as good as Matt Preston without having to pay top dollar? Ron Bennett Big Mens Clothing believe every man should have the opportunity to look great. No matter what their size.